April 12, 2017 By Chelsea T.
Who doesn't love a good ghost story? Well, in Arizona, there's a whole lot of them! From hospitals and asylums, to cemeteries, schools, theaters, restaurants, parks, bridges, and even roads, there's an endless amount of places throughout the state that are said to have some ghostly spirits lingering. Some of these creepy spots are located in the biggest of cities that everyone knows about, and others in small towns that only locals may know of. Take a peek below to check out our Top 10 Haunted Places in the state of Arizona! 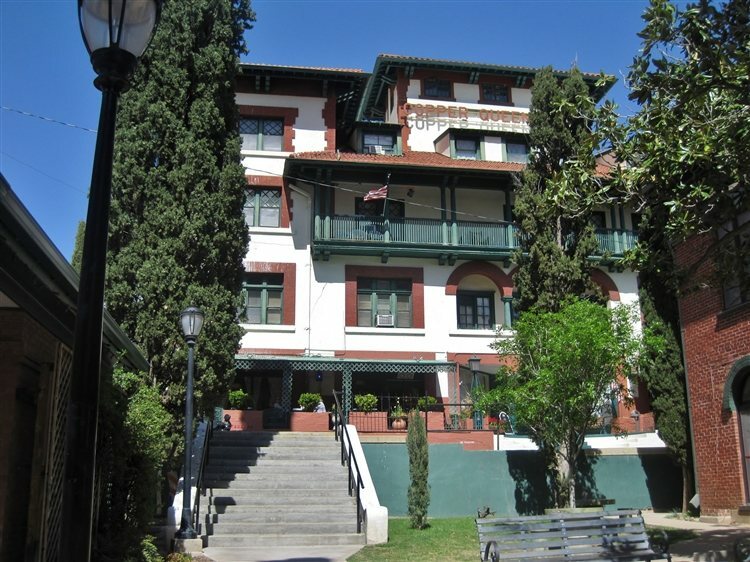 The Jerome Grand Hotel dates back to 1926 and sits on a high ridge in the Verde Valley. It features a Spanish Mission Style architecture and was reportedly set in a former hospital called United Verde Hospital. According to the hotel's official website, it is the largest National Historic Landmark in Jerome and is one mile high, offering spectacular views. In 1930, when it operated as a hospital, it was written up as the most modern and well equipped hospital in Arizona. After the hospital closed in 1950, the building stood abandoned for 44 years. The place was purchased by the Altherr Family in 1994 and they began restorations. When the location was used as a hospital, nearly 9,000 people died there, which may be part of the reason for it being haunted. Witnesses have reported the sounds of coughing, labored breathing and voices coming from empty rooms. Some have even smelled flowers, cigar smoke, dust and whiskey coming from the empty rooms as well. The ghost of a 4 or 5 year old child has also been spotted at the hotel on the third floor, sometimes laughing or crying. Other eerie occurrences include televisions being unplugged, shampoo bottles rolling across the floor or flying across the room, shadow figures and apparitions of two women, one wearing a nurse's outfit and the other in a white gown. 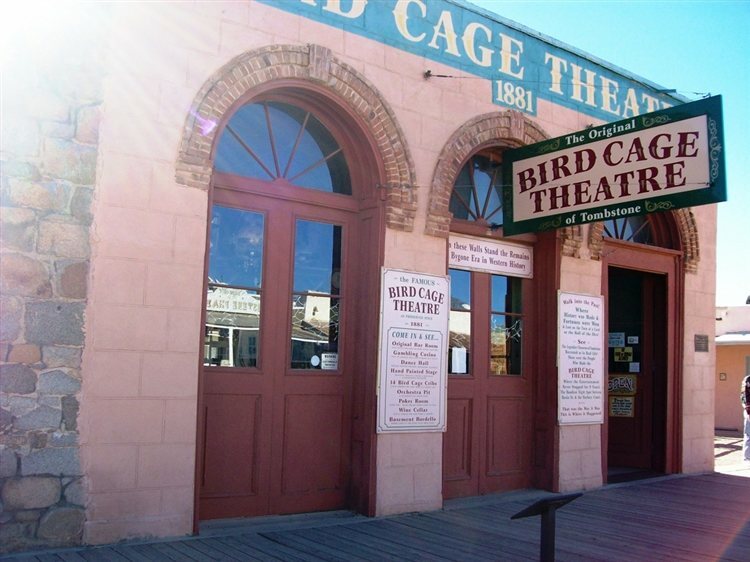 Tombstone's Bird Cage Theatre was first opened in 1881 and was a combination of a saloon, theater and gambling parlor. According to Wikipedia, "One of the first acts at the Birdcage was Mademoiselle De Granville (real name, Alma Hayes), also known as the "Female Hercules" and "the woman with the iron jaw". She performed feats of strength, specializing in picking up heavy objects with her teeth. Other acts included the Irish comic duo Burns and Trayers (John H. Burns and Matthew Trayers), comic singer Irene Baker, Carrie Delmar, a serious opera singer, and comedian Nola Forest." The theatre was a hot spot for miners and was called "the wildest, wickedest night spot between Basin Street and the Barbary Coast" by The New York Times. More than 120 bullet holes can be found throughout the building. In 1892, the Bird Cage Theatre shut down was reopened in 1934 after it was purchased by new owners. The spot is believed to be quite haunted, and has been featured on episodes of Ghost Hunters, Ghost Adventures, Ghost Lab and Fact or Faked: Paranormal Files. This hotel in Bisbee dates back to 1902 and features an Old West-style hotel in a Victorian building. According to The Copper Queen's official website, the establishment was built by Phelps Dodge Mining Company soon after Bisbee became a copper, gold and silver mining town in 1880 for dignitaries and investors to relax in a luxurious setting. Haunting reports at the hotel include levitating objects, strange smells, ominous voices and the spirit of Billy, who likes to take coins from guests and jump on the couch in the lobby. Another ghost who has been spotted here is that of an older man with long hair and a beard, wearing a suit with a black cape and top hat. He sometimes appears along with the smell of cigar smoke. 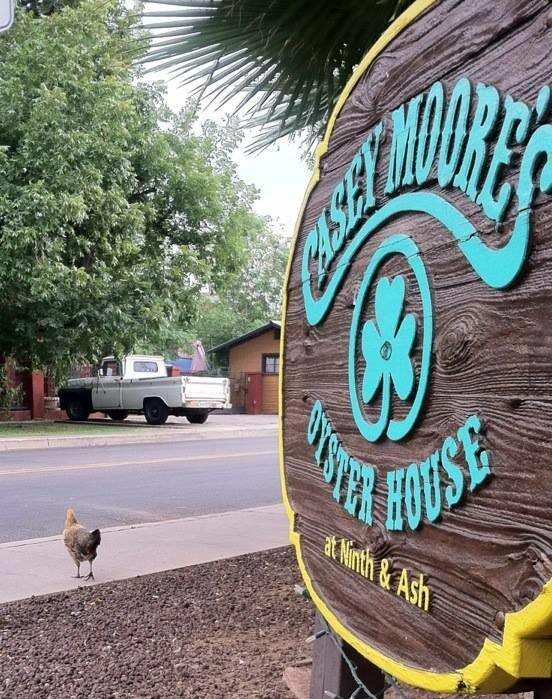 Located in Old Town Tempe, Casey Moore's Oyster House dates back to 1886 and serves seafood, pub food, draft beer and whiskey in a cozy setting. It is known as one of the most famous Irish Pubs in and around Arizona and draws an eclectic crowd. In addition to its delicious food and beverages, the place is also said to have some ghosts. Casey Moore's states on their official website that a woman dressed in turn of the century clothing has been spotted dancing in the dining room upstairs. Other strange things that occur include articles that disappear and then suddenly show up in odd places, neck ties that are tugged and objects that become weightless. 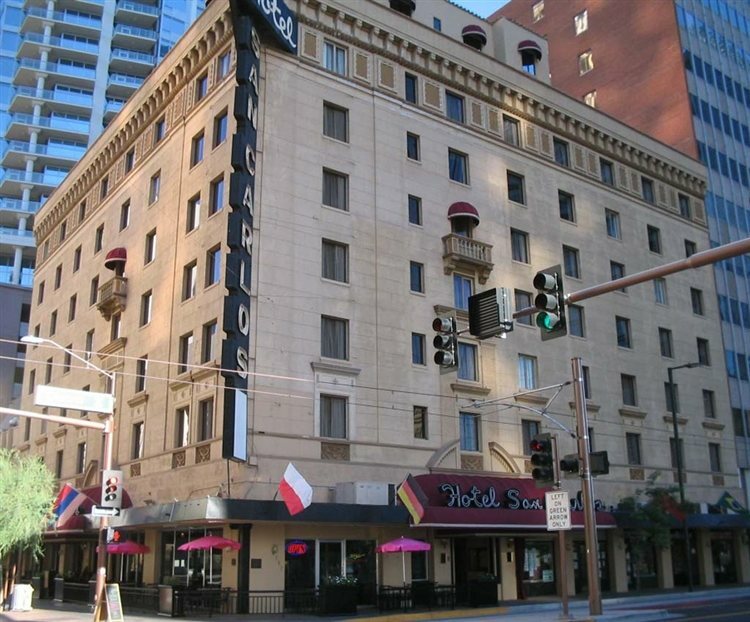 Hotel San Carlos of Phoenix first opened its doors in 1928 and is listed on the National Register of Historic Places. Stories say the location gained its paranormal recognition in the 1920s when Leone Jensen died. Just 22 years old at the time, Jensen was said to have fallen from the rooftop of the hotel. Some believe she committed suicide when she discovered her fiance no longer wanted to marry her, others say she was pushed off the building. Her spirit is said to linger the hotel and has been spotted on occasion in guest rooms and on the roof. 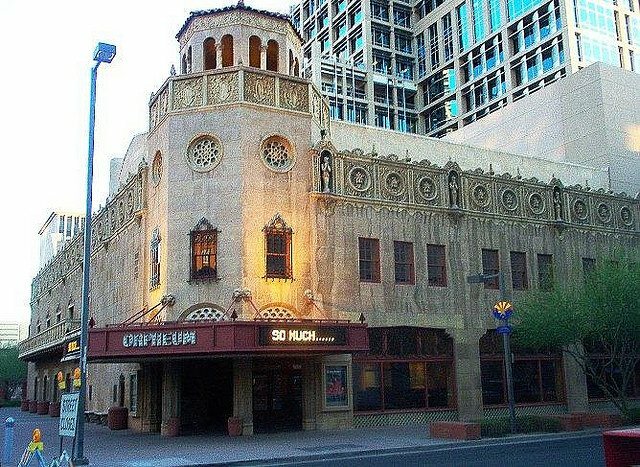 Phoenix's Orpheum Theatre first opened in 1929 and seats 1,364 people. The building was originally used for vaudeville acts as part of the nationwide Orpheum Circuit. It was added to the U.S. National Register of Historic Places in September of 1985 and has had a few different names. It was purchased by Paramount Pictures in the 1940s and named "The Paramount" and in the 1960s, Nederlander purchased it and renamed it "Palace West." The theatre was leased to a local Mexican family, the Coronas throughout the late 70s and early 80s, and Hispanic events and movies were presented there. In 1984, a few years after the theatre fell into disrepair, it was purchased by the city of Phoenix and a 12 year restoration started. In 1997, The Conrad Schmitt Studios created the transformation and The Orpheum opened. The place is said to be haunted by a ghost named Mattie who has been seen on a number of occasions, dressed in mid-20th Century clothing, wandering around the balcony. Dating back to 1863, the Vulture Mine was a gold mine and settlement in Maricopa County. When it began mining, it was the most productive gold mine in Arizona history. According to Wikipedia, the mine produced 340,000 ounces of gold and 260,000 ounces of silver. 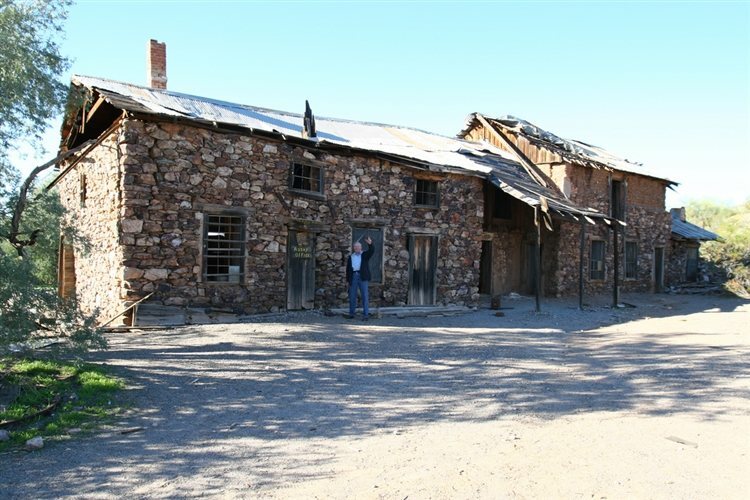 The mine attracted more than 5,000 people to the area, and is even credited for founding the town of Wickenburg, which was known as Vulture City when it served the mine. It closed down in 1942 and has had a reputation for being haunted. Reports include rocks being thrown, disembodied footsteps, and ghost sightings. The cast of The Travel Channel's Ghost Adventures also attests to the place being a hot spot for paranormal activity. 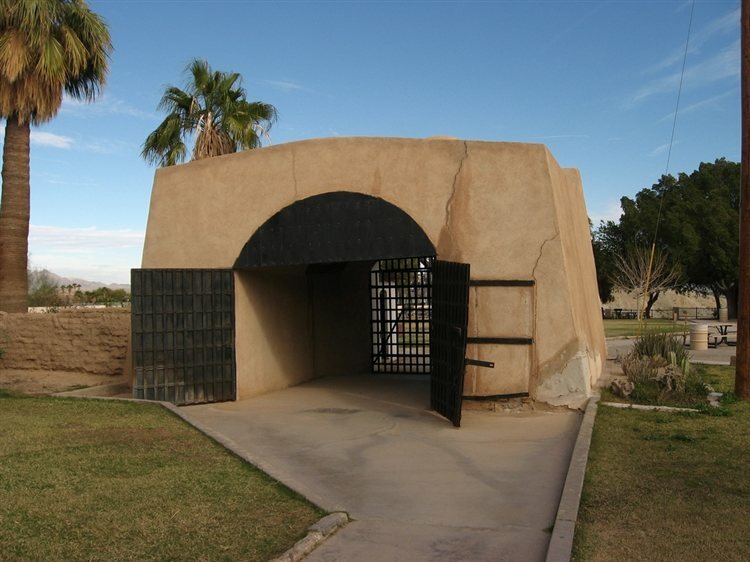 This former prison first opened in 1876 and now operates as a historical museum by Arizona State Parks. It is one of the Yuma Crossing and Associated Sites on the National Register of Historic Places in the Yuma Crossing National Heritage Area and is said to be pretty haunted. No documented executions took place at the prison, but over 3,000 prisoners resided there. The solitary confinement cells, also known as "the dark cells" are well known for paranormal activity and it is said that one of the ghosts there likes to pinch visitors that are wearing the color red. 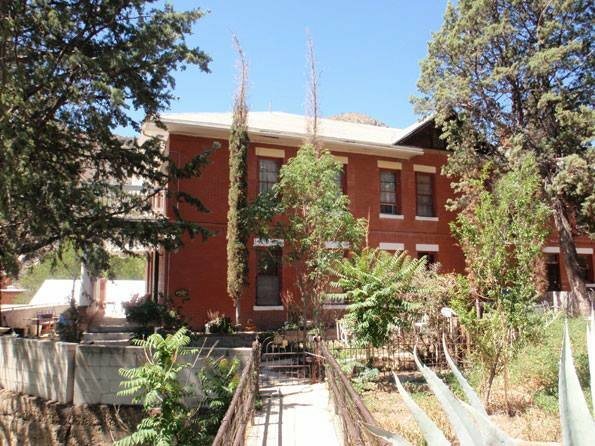 The Oliver House Bed and Breakfast in Bisbee is where people go to get away from it all. There are no televisions or land line phones in the rooms, giving guests a true way to "unplug" during their stay. The bed and breakfast has been featured on an episode of The Travel Channel's Ghost Adventures and they even have their guests write down their haunting experiences in a guest book diary. For those interested in the paranormal of The Oliver House, they offer four weekends out of the year dedicated to hunting activity. Witnesses have reported eerie noises, doors and windows that close on their own, and the feeling of being watched by something unseen. Stories say the place may have had a violent history, with over 20 deaths taking place here. One infamous murder involved the wife of a local policeman who was having an affair with a mining employee and her husband who found out about their liaison. The Canyon de Chelly National Monument was established in 1931 as a unit of the National Park Service. It is located in northeastern Arizona within the boundaries of the Navajo Nation. 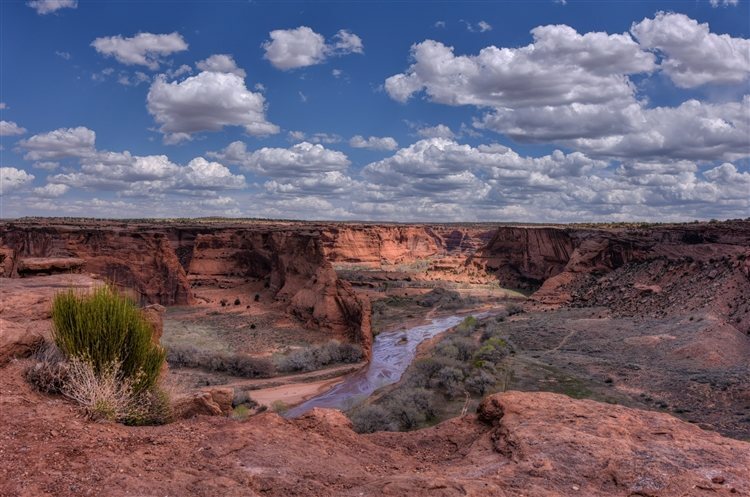 The monument reflects one of the longest continuously inhabited landscapes in all of North America and it preserves ruins of the early indigenous tribes that lived in the area, including the Ancient Pueblo Peoples, also known as "Anasazi" and Navajo. Covering over 83,000 acres, the monument has three major canyon, one of them being de Chelly, del Muerto and Mounment are the other two. Some that visit the monument claim they can still hear sounds of distress and warfare throughout the area, especially in "Massacre Cave" - a remnant of the real life Navajo slaughter that took place there. Click here to read about more Haunted Places in Arizona!